Ponerse el overol is a common expression in the footballing lexicon of the Spanish language. To illustrate its meaning, the Bleacher Report pointed to Carles Puyol, a man who went above and beyond for his team, a player that felt and bled the blaugrana colours. In essence, it refers to one who does more than is expected. Above that singular player lies the club, and above the club stands the league. In this instance, LaLiga is the organization whose principal responsibility is to give order and organize the league and cup matches. But it’s also extending its limbs into an ever expanding overall, uncurling its toes as it chases down the Premier League and plays its part in promoting football in every corner of the globe. I sat down with Hugo Blanco at the LaLiga headquarters in the north of Madrid, to determine to what extent Spain’s football governing body is changing the landscape of the global game. Hugo is LaLiga’s Sports Project Manager, and he has worked extensively in diverse regions from Indonesia, China, the USA, Saudi Arabia, and even the Solomon Islands. 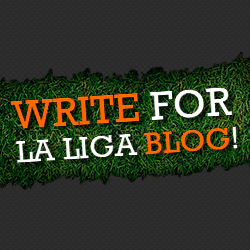 Hugo’s main brief is to spread Spanish football culture around the world. He is fully invested in this task, and this positivity shines through as he passionately explains that he ‘was really happy’ whenever he played football as a boy, and he thinks that ‘football has the capacity to make people happier; but also, helps to create new objectives and motivations in social situations’. Underpinning this drive, Hugo understands that football ‘is one of the most complex sports in terms of performance model: there are too many factors that influence the performance of the teams and players’. I wonder if this complexity is off-putting, but he affirms that the challenge is invigorating – ‘for me this complexity is the beauty of this amazing sport’. Tebas has issued very public declarations of intent of where he wants the league to be in the near future. Spanish football is a sport in a considerable hurry. All indicators point to Tebas seeing his dreams realised; Spain has arguably been the greatest producer of footballing talent for the last 20 years. The last couple of seasons have seen more English youths go abroad, but their Iberian counterparts still boast the most representation across the European leagues. On top of this, LaLiga itself has the lowest influx of foreign players. Simply put, native Spanish players are filling team berths because they are good enough to start in the place of foreign imports. It’s easy, then, to see why Hugo believes that Spain is ‘a reference for other nations’. Even when players do arrive – under a sports project agreement – it poses little risk to the health of the Spanish game. When nine Saudi players rocked up to Leganes, Rayo Vallecano and other clubs, MARCA revealed that their presence came with no strings attached. They did not cost their host club a cent, there was no obligation to play them, and they took up the squad place of a non-EU member. The revenue from the Saudi TV deal that was inked on the back of this deal would, in turn, mean clubs at the lower end of the LaLiga table could invest in their youth set-up and club. As LaLiga opens up to the world, cultural divides must be bridged. Hugo, a well-travelled man, has many fascinating insights to recount. In China, he explains that ‘people there are more comfortable with individual sports’, which is at odds with their President’s attempts to convert the country into a footballing powerhouse. In Dubai, factors such as the weather and Ramadan have to be accommodated, while the USA offers competition through sports that are already well-established there, and which are deeply woven into the fabric of American life, such as baseball. Hugo admits that these wide-ranging factors ‘are a challenge for us, in order to tailor our projects and processes, considering all the factors that can influence players and performance’. From the outside looking in, I can only speculate as to how deep those challenges are. Regarding Ramadan, the differing approaches of teams from Muslim countries in the run-up the 2018 Russia World Cup showed that there is no cut-and-paste model that can be applied across diverse cultures. Nevertheless, Hugo trusts in his approach and states that ‘when we explain in detail the guidelines we follow in our football projects, partners trust in our methodology and we work to get results’. This methodology incorporates one key aspect. My interviewee explains that ‘most of the countries are working with us because we create an educative model to improve the intelligence of players’, and he adds that LaLiga does not ‘improve speed, strength, endurance… in an isolated way’, but rather as part of a wider framework. This holistic approach aims to build the ‘collective and individual resources of the player’. All of these developments will have a knock-on effect for other leagues, and it may help Spain’s top division overtake the Premier League; this would make LaLiga the number one league in terms of marketing and profit generation. In the 2016/2017 season, Spain’s top flight registered staggering growth based on revenues of over €3 billion. This growth has been attributed to a switch to a collectivised TV deal, but despite this recent example of rising profits in Spain, the Premier League is still financially out-muscling its competitors. Nevertheless, it would be remiss for the Premiership to rest on its laurels. The December El Clasico of the 2016/2017 season kicked-off at 1 pm for a reason – to satiate the demand for the derby in global markets. The Guardian’s John Duerden called La Liga a challenger that ‘had to be taken seriously’ on account of its marketing and business model, and on the obvious attractions of the Messi/Ronaldo rivalry. All of this is supplemented by Tebas’ stated intention to close the gap to the Premier League by 2020 and by his numerous public statements on making the Spanish league a stronger brand, with improved facilities, technology and standards. This, in turn, will be enhanced by a boot on the ground approach, with a vast network of LaLiga offices – and ever increasing staff – around the world already working in the background. Where once top teams visited Asia as a courtesy, as a half-hearted attempt to placate unimportant fans, there is now a genuine desire to grow the connection between European clubs and their global fanbase. LaLiga exemplifies this new drive, and there is more evidence of foreign players coming to train and develop with Spanish clubs than in the Premier League or Bundesliga. This shift in mentality is evident through how Hugo speaks – he always refers to the people he works with as ‘partners’. This is a symbiotic, mutually beneficial approach to grassroots football. For a multitude of reasons, English football still has the biggest pull for fans around the world, but Duerden ends his piece by commenting that Spanish football can usurp this by focusing on developing the talent of the future. In the short-term, this gap can also be bridged by LaLiga’s insistence that their international broadcast partners air three live LaLiga matches every weekend. We finish on this thought as work beckons, and Hugo leaves his seat. The hard-working Spaniard is subsumed back into a tangle of open-plan office space, desks, and meeting rooms with tall glass walls. No doubt another jaunt to an exotic part of the world is on the cards, with the over-arching objective of finding and developing local talent. The Saudi Messi or the Chinese Ronaldo could be on the verge of being discovered by LaLiga’s emissaries. And aside from the promise of finding such talents, it is clear that the unheralded but vital work of teaching the great values of football – respect, collaboration, hard-work – is being done by people like Hugo. To paraphrase Samuel Johnson on the actor David Garrick, such actions, such as the spread of joy and happiness through football, add to the gaiety of nations, to the public stock of pleasure. And to quote Hugo one final time – ‘football teaches people how to live’. It’s a much-needed good news story for football. And as an undercard to the title fight between the world’s best players, we can enjoy the vying for dominance of two titanic leagues.